Welcome to another Sobralia Day. Every few weeks you can walk into the Orchid Center and find lots of sobralias covered with flowers. Some horticulturists claim that a cold snap will trigger a mass flowering. Nah. I'm sure sobralias arrange these events in advance, telepathically. The flowers of most Sobralia species last just one day. 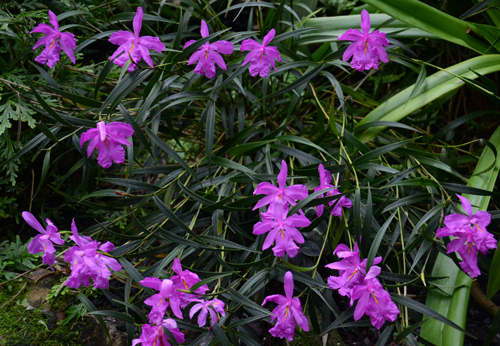 On my list of Top Ten Sobralias, Sobralia callosa ranks high in the top two. It is tiny, a highly prized quality in a group of orchids that mostly aspire to be Hydrangeas -- oversized and floppy, spilling over into their neighbor's space. A mature Sobralia callosa spans 1 ft. from tip to tip. I wish we had a hundred of them. 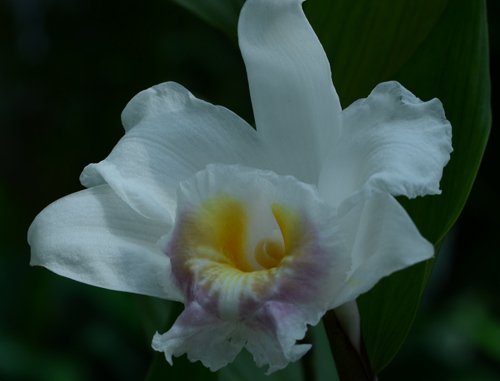 Our unidentified (very tricky, those white Sobralias) Sobralia is more typical --a 6' adolescent. Sobralias are native to Central and South America, where you can sometimes see them in flower, growing on steep road cuts in full sun. 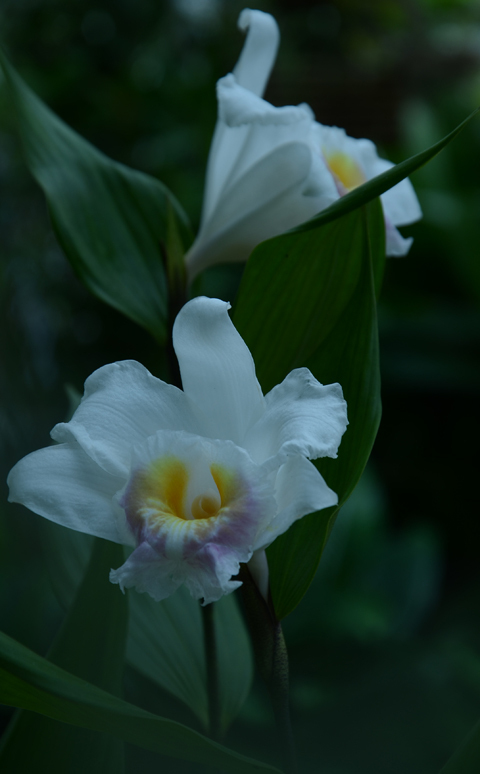 The name of the unidentified white sobralia is Sobralia Gentryi..... From Equador!